My husband encouraged me to do a 3D quilt so I played around with hexagons and then strip sets and VOILA! I came upon this design. I love hexagons and they are very popular right now. If you want to challenge yourself to grow in skills this is a great pattern to do it. Y-seams can be tricky but this quilt is so graphic that you will be very proud of yourself when it’s done! Join Pauline for a great class using stretch active fabric. In class you will make one pair of Athletic pants, similar to a legging and an athletic zippered vest. Covered in class will be stretch stitches on the sewing machine, differential feed on the serger and the difference between stretch, jersey and ballpoint needles. When and where to use them. This fun and quick baby quilt pattern uses 8 novelty fat quarters plus some yardage. We use the EZ Dresden Ruler for the entire quilt and with some twists and turns, we create this tumbler quilt variation. In this class, you will learn accurate cutting, chain piecing, and quilt top construction techniques. This is a really beautiful wallhanging that would look great in any area of the house! This is a fusible applique project. In the class Bernadine will show you some different stitches that you could use to finish the raw edges and add embellishment and dimension to your finished project. Kit available. In this relaxed atmosphere sewing class, Bonnie will assist you in sewing your choice of projects. 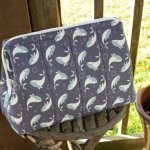 Have no sewing experience? Let us help you get your pattern and materials chosen for quick and easy PJ Bottoms! As your skills grow enjoy more challenging projects. New baby coming? Newly retired? Just want to learn to quilt? This is the class for you! Do you need a little extra help with a sewing pattern? Not sure how to do a certain technique? This class is a chance to work on those projects and have an instructor on hand to help you get over the hurdles. This is a hands-on relaxed setting class kids ages 8- 13 will learn to sew using sewing machines and sergers. Starting with a pair of PJ bottoms and building the skills from there. If you are a HUSQVARNA Designer EPIC owner and would like to see and share ideas join us for a demo-style class. This class is to explore your machine and try new ideas. Bring your questions and ideas! An all NEW kids sewing program focusing on the fundamentals and incorporating skill building with sewn projects. Each child will go home with a binder of the skills learned and a sample of the technique. Then progress to projects. This will be an ongoing series; each session will be 4 weeks. With each additional session, the student will continue building and nurturing previous skills. The series must be done in order to achieve the best results. Close-fitting, pullover tops have scoop neckline with neck binding and stitched hems. A: Patch pocket. B: Cold shoulder sleeve In class you will be using stretch stitches on the sewing machine and differential feed on the serger. Use your embroidery machine to make these fun little wallets or pouches for all sorts of things. Makeup, hair ties, pencils, phones and so much more! In this class make a man’s button front short or long sleeved Aloha shirt! This is a fun unique gift to give any of men in your life! Facing and buttonholes are some of the skills covered in this class. 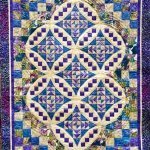 Try this great technique made popular by Gypsy Dream Quilter and be amazed! Using 7 panels create stunning spinning kaleidoscopes! These blocks are fun to make and are VERY addictive, you won’t want to stop. A great project to bring all your notions to class or as the name suggests to a retreat! Wire frame inserts give this bag great structure. A really fun pattern! A little time to quilt! Join us for an informal drop-in session where you can work on completing your projects. There is so much that Serger can do! Would you like to explore all the amazing capabilities? In this class, we will create a workbook that shows all the stitches and finishes that you can do and all the settings needed to create a perfect stitch. Kit and Binder will be purchased at class. 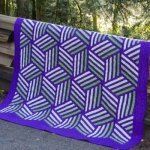 Designer Description: Sewology is a pattern that celebrates all things sewing! This PDF pattern is broken up into 12 block patterns. Each block pattern includes material requirements, detailed diagrams and instruction, and tags to label your cuts of fabric. There is also a 10-page introduction in the pattern that goes over in detail the techniques used in the pattern, color scheme suggestions that include material requirements for each one, and a coloring page to keep you organized! This pattern is traditionally piece (no paper piecing!) and is recommended for the advanced beginner sewer and up! If you love Lori Holt from Bee In My Bonnet then this club might just be for you! Each month we will work on projects from one of Lori?s books. We love Lori and we are all one of her worker bees in The Hive! Machine rental available $5. or to sign up for any of our classes.